Versilia offers numerous opportunities to indulge. Olimagio is located at an ideal distance from some of the best-loved Italian tourist attractions, visited by travel enthusiasts from throughout the world. Nearby there is the sea, mountains, parks, art, as well as fascinating, beautiful cities. Olimagio is only a few hundred metres away from the sea front at Forte dei Marmi, a historic destination for the Italian sea-loving tourist. Pietrasanta is also nearby, with its busy laboratories and art galleries. Forte and Pietrasanta together mean some serious shopping, followed by restaurants and dance venues. Do you prefer being an active tourist to shopping and eating in restaurants? 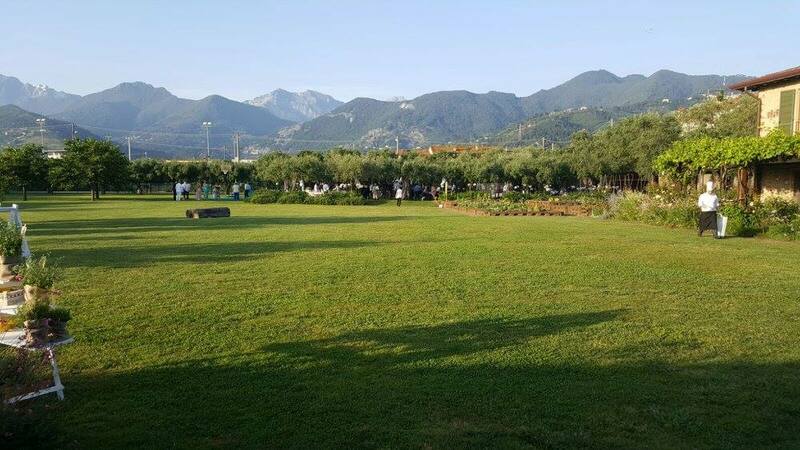 A few minutes away by car there are the Apuan Alps, towering over Olimagio and here it is possible to organise marvellous trekking, nordic walking, and climbing excursions. And how about visiting the marble quarries at Carrara? Their bright white marble has contributed to making Italian (and not only) sculpture known throughout the world. The quarries are half an hour away. We must also mention Florence, Viareggio, Siena, Pisa, Lucca, which need no introduction and are only about one hour away by car from our country house. Last but not least, there is marvellous Liguria: Lerici and Portovenere are less than one hour away from Pietrasanta. Here there is the Cinque Terre National Park; Rapallo and Portofino are a little further away. This is the ideal location for an excursion, is it not?